Thank you for dropping by my Raising Jane Journal to participate in my giveaways! We’ve chosen a winner for this giveaway already (click here for details), but don’t be afraid to leave a comment anyway. I love reading them. And stay tuned for more great MaryJanesFarm giveaways. 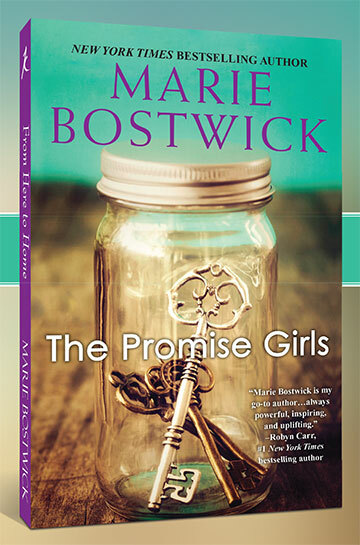 For a chance to win one of FIVE autographed copies of Marie Bostwick’s newest book, The Promise Girls, tell me how long you’ve known your BFF in the comments below. (I’ve known mine for 38 years—my daughter.) I’ll toss your name into a hat and draw a lucky winner sometime mid-June. From the beloved author of the Cobbled Court Quilt novels, New York Times bestselling author Marie Bostwick delivers an emotionally rich and captivating new novel that reunites three sisters whose deep bond is rooted in an unconventional past. Stay tuned for more magazine-related giveaways. If you’re not yet a subscriber to my magazine, MaryJanesFarm, subscribe here for $19.95/year. I love Jayne Ann Krentz’s dialogue. I have know my BFF for 58 years! I was one and she was two years old when we all first moved to a new housing development. My earliest memories of her were with bandages over her eyes. She was loosing her eye sight slowly. I’ve been her matron of honor at her three weddings, we’ve been through thick and then. We started off in WNY, across the miles of this country. From NJ where she was a professor at Rutgers to Kentucky, to Alaska, to now Wisconsin. Me from Cheektowaga, NY to Corfu, NY to Lake Orion, MI. We pick up the phone and talk as if it were yesterday we last talked. I flew 4 or 5 times to Alaska to see her and she’s coming to the lake this summer. She’s now legally blind. Love her like a sister! I have known my BFF since we were in second grade together and she went and told our teacher that I wouldn’t play with her. We still laugh about that! So that means I have known Jan, and I can’t believe this, for almost 55 years! Besides my Mom it would be my friend who I feel is like an older sister and we have known each other for 38 years. It seems that I have lucky to have a few BFF as my life has moved from one state and phase to another. Most recently, I would say my neighbor of 30 years. This author is new to me and I am intrigued about her works and your endorsement. I am always on the look for great books to read and enjoy. Sorry, I do not have a favorite author but i tend to be fond of autobiographies so with that said, today it is Eric Breaden’s, I’ll be Damned. I don’t have a favorite author, but I am the middle of three sisters. I am very close to my sisters and think this would be a good story to read. Thanks! I have known my BFF for 11 years now. We meet in our English class in high school. I was new to the school and he made me feel right at home. We were lucky enough to graduate together not only from high school but from college as well. He has always been by my side and I’m blessed to have a guy as my best friend! The drama is very minimal that way! My best friendS forever are my daughter and my mother. Both are godly women who will speak the truth in love even if that means telling me not to wear something I thought looked fabulous on me. I’ve known my daughter for thirty years and my mom for fifty-eight. One of my friends I have kept contact with since I was 6. I moved we wrote letters through high school and some of college. We then reconnected again through letters and cards. It was a comfort when we lost our Moms . I moved a lot. Keeping in contact by letters is an old form of communication . This has followed by a friendship of a college friend since we were 18 — about 50 years through letters ,and phone calls, and some visits. These friends provided continuity when I moved , changed schools etc. I have read most of Marie Boswick’s books. They are a treasure to enjoy. I look forward to reading this book also. I was fortunate to meet and hear her speak at a quilt Group. Wishing her continuing success in her writing. My BFF is my husband of 22 years! By best friend is my older sister Eileen. Some days we don’t talk but it is like she knows when I need that pick me up phone call or a special card in the mail. We have been sisters for 56 years. We have always been very close. It is only the miles that keep us apart. My younger sister is my bff. I held her hand to walk her to the school bus for the first time. I am almost 63 and she is almost 60 but it seems like yesterday. We’re still close. I could never understand people that don’t get along with their sisters?! Who do they talk to – who do they have to tell them the unvarnished truth?!? I have been blessed with 2 wonderful sisters, 4 amazing daughters, and a sweet friend since 7th grade!!! How thankful I am!!! My BFF? My beautiful sister Leasa of course. What would I do without her? Love her to the Moon and back. I have two bff. My mom for 42 years and my friend from High school Katie for 25 years. I’ve known my bff for 26 years! My BFF ‘s husband, Sister, Mother, and a whole lot of others! I’ve know them all for many years!!! Almost 47 years! Since about 1970… for my first BFF. 20 years … 1997 for my next BFF. Time flies and they are great ladies. So blessed. Sine I was in 5th grade and we will both turn 30 within the next few months. When we were in highschool we found out that branches of our family tree cross and that we are actually cousins somewhere along the line! I’ve known my bff for 51 years this summer, we met when we were 4 and I moved to the neighborhood, we’ve been friends ever since. My BFF and I met 39 years ago! I was in 7th and she was in 8th. She and my then best friend a boy, had eyes for each other. She was afraid of me because she thought since I was friends with another girl that had eyes for him, I’d beat her up! Lol she soon learned on a very long walk one night, I was not a fighter and a very get along type gal! We’ve been besties ever since, even when we live far apart, it doesn’t change the heart! My best friend is my husband. He was my camp counsellor at our church camp. He is four years older than I and we have been married 55 years. It really seems like only yesterday that we met! I have known my BFF for 40 years now and have been married to him for nearly 28! Love him more than ever! 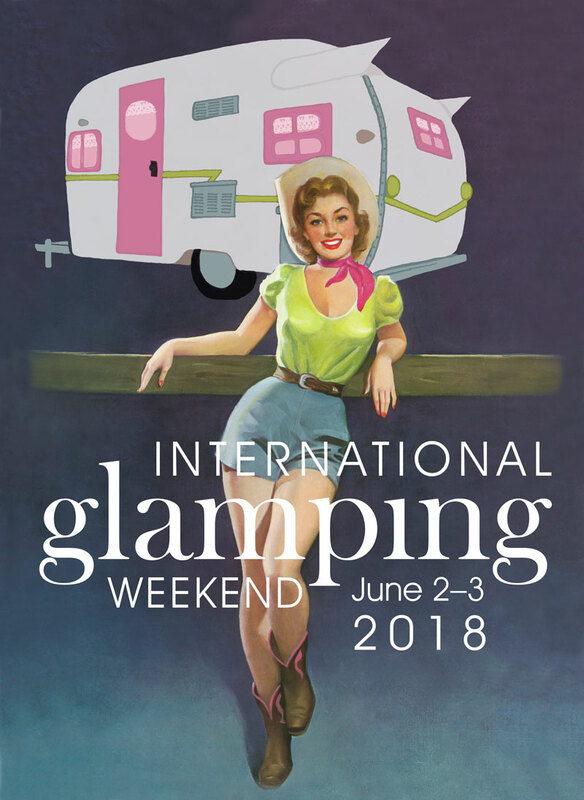 My BFF is coming from Texas next week to visit me in Idaho for the 8th time. We met when I was 19, 50 years ago and she has visited me every where I have lived even in the Netherlands. I love all the BFF stories. Thank you MaryJane for the giveaway. Sounds like a wonderful summertime read! Blessings! I knew mine for thirty-odd years. But she was killed in a car acvident a couple of years ago. My best friend, Kathy and I have been friends for 65 years, since first grade in Miss Scott’s class. We recently spent some time together in Key Largo, wish I could upload the picture. I have known my bff for 5 years. Our lives were tragically brought together when her husband had a very bad motorcycle accident while on a ride with my husband. Sadly, my husband hit a deer while on a ride 5 weeks later. Both thankfully survived, but the damage to their brains has changed our lives forever. Our bond and friendship has gotten us through many a rough time and I couldn’t imagine not having this dear friend in my life. Best friends? I have one or two BFF girl-friends. Vickie and I met when we worked together in Security for a steel factory about 20 years ago and Laura and I have known each other for at least that long. But I also have a third BFF and that is my youngest son, Mark. We think alike, say the same things at the same time, he can get me out of a bad mood quickly and I can do the same for him. We laugh a lot and have a good relationship. We don’t always see eye to eye but we don’t stay mad or argue for long. He has always been there to take care of me when I needed taking care of like when I dislocated my shoulder when I fell because of black ice. If there was something I saw and liked he would try to get it for me, like my girlfriend Vickie does for me. It is nice when a family member can be a BFF too. I have never read Marie Bostwick but it sounds like she writes the kind of stories I do read. Y’all have a happy day. I forgot to say how long I have known him. Since 1962. Ditto…my daughter is my best friend and travel buddy. Going on 23 years. I want to ne just like her when I grow up! Ditto…my daughter is my best friend and travel buddy. Going on 23 years. I want to be just like her when I grow up! This would be a great book selection for our book club! 63 yrs; my Mom who taught me how to make a discard into something useful and beautiful, taught me about beautiful things from linens to furniture, taught me how to decorate, how to be thrifty. She is 82 now and has lived every year of her life fully. She was a librarian for many years, a school-teacher grades 1-8 when she was 17 years old. She has been my best girl-friend since I’ve been an adult, an optimist and steady light in the world all around her. My 16 year old daughter! It is a joy to have a daughter! I have 3 BFF’s. My first BFF and I met while we were on vacation, and we stayed at her parent’s cottages, when I was around 10-11, so it’s been roughly 50 years for us. We just hit it off like we had always been together. We even stood up in each others wedding. Even though we don’t get to see each other very often, when we do it’s like we’ve never been apart. My second BFF and I met in high school, so it’s been 46 years for us. We’ve always been like sisters, and people often ask us if we are. My third BFF and I met at work, so it’s been about 28 years for us. We connected on such a soul level it’s uncanny. I have such a special bond with each of them, that I cannot pick one over the other. My best friend and I have known each other for thirty years, we first met at work when we were just little chicks and now we’re the old hens! Although we have moved apart ( to different states) we have continued to talk ALL the time and it truly feels like we are still just as close as if we saw each other every day. What a wonderful life blessing! I known my BFF over 12 years. She was my brother-in-laws partner, they have split, but she is still my BFF. I’ve known my bff for 50 years, since she movedfrom Texas to our small hometown of LA Plata, Missouri when we were 10 years old, in fifth grade! We lived a block away from each other, closer if we took the shortcut between back yards in our neighborhood. We loved reading books, especially the Judy Bolton mystery series. We’ve been soul sisters from the beginning, and are still close today. I can’t imagine my life without her! My mother is my best friend, so I’ve known her all my life – 58 years, to be exact. I have known mine for 69 years! She is my sweet cousin. We are sisters in the Lord. I’ve known my bff for about 30 years since we started an inner city ministry. We also share the same birthday. We now live 900 miles apart but still love to talk and text.